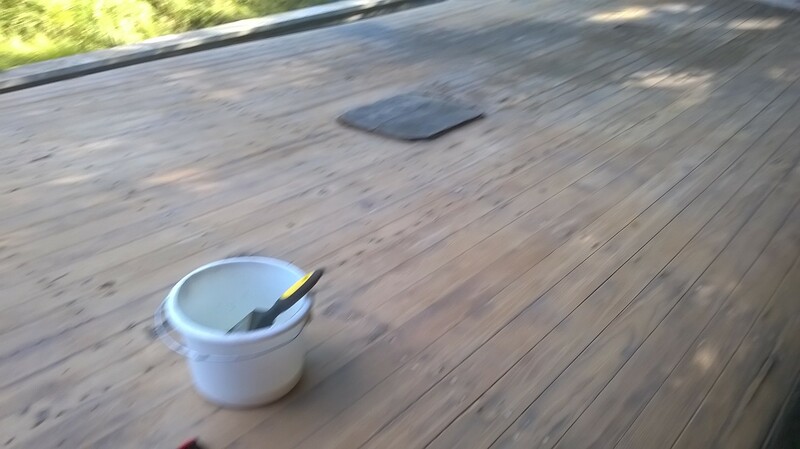 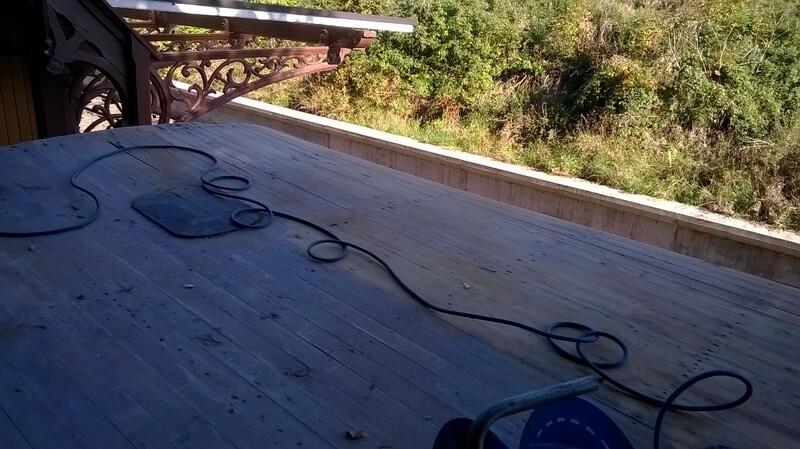 Home / Station News / Roof Sanding Complete! 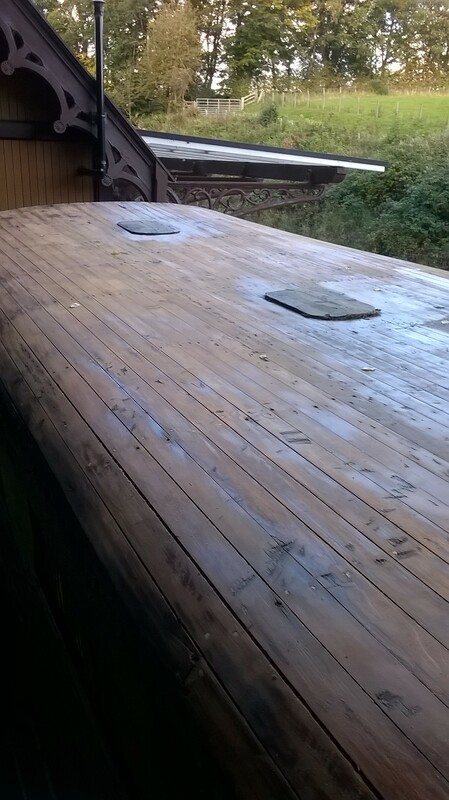 We took full advantage of a glorious sunny autumn day to complete the sanding down of the North British coach body roof and covered it with two generous coatings of preservative. 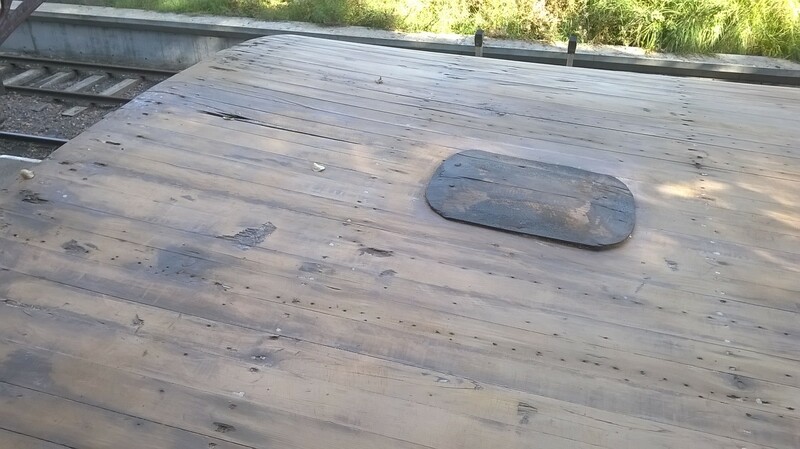 The next challenge is to clean out the remaining items inside the coach so that we have sufficient room to identify a way of lifting the roof section that has unfortunately sagged and led to the water ingress.